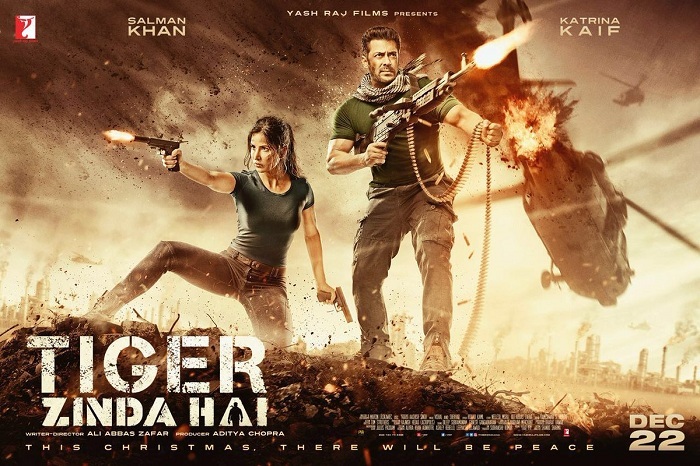 Tiger Zinda Hai 7th Weekend Box Office Collection Report. Excellent Agan. Tiger Zinda Hai has added an excellent 60 lakh nett in 7th weekend at box office India. Film started very well with fantastic hold on 7th Friday. Film showed regular trend through the weekend. Film registered a big jump of 50% on 7th Sunday. Tiger total business at the end of Day 45 is approx 338.75 crore nett. Film is all set to cross 339 crore nett by the end of week seven. Lifetime business of the film will end anywhere between 339.5-340 crore nett mark. Tiger is a huge Blockbuster. Film is 3rd Highest Bollywood grosser of all time behind Dangal and PK. Film has got a good chance of surpassing PK lifetime business and for that need to collect a bit more from 8th week onward. Will it against the likes of PadMan and Aiyaary and already running Padmaavat? That is another question though. Weekend 7 -> 0.6 crore nett. Total - 338.75 crore nett (approx). For PK you take Producer numbers (diff. b/w trade & Producer is 3cr), for Padmaavat (where diff. b/w trade & producer is 8cr in 10days) you take Producer figure.....But for TZH (where in 45 Days difference is just 2 lakhs) you create your own figures....WHY????? U r right sourabh bro, for srkgay and tingu they always will be biased as for salman, wrong collection or lesser collection is given every time. Sonam rinchen,,ngwang phuentsho LA gattee Joni mo laaa,, tamashi ma be me LA,,daume LA,,,tshering penjor LA wa emadatshi LA,,jarim boom LA..
Real collections of PK as reported by BOI is 337.7 crores which has already been thrashed by TZH and confirmed by BOI - rest is all nonsense !! Only one to do 300cr without free run infact did it while bahubali was doing great alongside. What PK did on xmas+3wk, Bajrangi crossed its ffs with Bahubali. Biggest megastar.